Has anyone read that Jezebel piece on "What Your Therapist Thinks of You?" I was pretty disappointed. 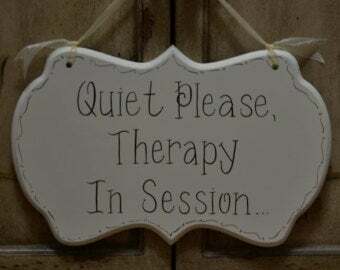 Background: I've had numerous friends in out-patient counseling. Some of them have loved their therapists, others have been ambivalent, and still others hated their therapists. But the one thing they've all had in common: they were seeking help for mental health issues. I've also had friends who also wanted treatment for mental health issues, but they didn't look for treatment. Their number one reason? They didn't want what they said in therapy to ever get out (this is once they've confessed to actually wanting help). I've always tried to encourage friends and loved ones to find treatment, and assured them that what is said in the room stays in the room. But after reading that Jezebel story (and the Gawker story from a few years back), I feel less confident telling them their secrets are safe. I've seen enough comments and stories here at Gawker Media by mental health professionals (clinicians, psychiatrists, counselors, therapists) that have shared too many details about their patients, however veiled the comments/posts may be. I never understood before how people could feel nervous about their stories getting out, but after that story I can see their fear isn't necessarily unfounded. Even if the writer/therapist's story isn't about you, per se, it's still enough to make someone feel nervous that the therapist's next story could be about you. Thoughts on "When Therapists Share?"